Tarrant County, schedule your complimentary brake inspection TODAY! ATTENTION, Tarrant County!!! Black Friday is just days away. You know what that means! Throughout Tarrant County, there are going to be holiday sales galore! Toys. Clothing. Cars. Jewelry. You name it, the sales are going to create a lot of extra people on the roads. Translation? You’re going to have loads of stop and go traffic. There’s a lot of hustle and bustle in Tarrant County! You can add to all that excitement. The kiddos are out of school for the Thanksgiving break. And you’ve got family in from out of town to celebrate. You want to make sure that your vehicle is safe. Why not bring in your car, truck or van to our shop for a free brake check up?! 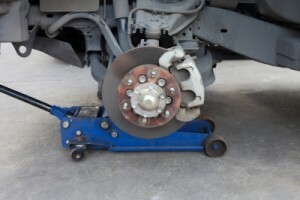 Our ASE certified mechanic will be glad to perform the brake check up on your vehicle. He will report to you all of his findings. Hopefully, everything will be just fine. But, should he find anything not quite right, he will recommend only whatever repair is necessary to keep you and your loved ones safe. Whatever his recommendation, you’re in good hands. Why do we say that so confidently? It’s because we believe B &M Auto Specialists has the best brake mechanics in Tarrant County! Got your shopping list ready for Black Friday? Before you head out, and while you’re thinking about it, why not give us a call to schedule an appointment for your free brake inspection?! We look forward to serving you!